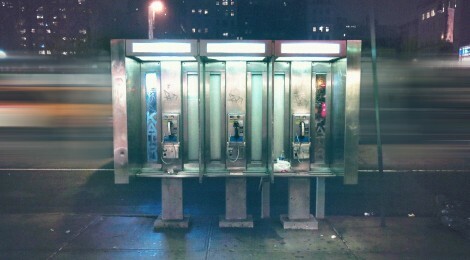 New York City has ordered the removal of hundreds of beacons installed in New York City phone booths without the consent of the public. An investigative report by Buzzfeed News asserts that Titan, an outdoor media company that sells ad space on phone booths and kiosks across New York, is the company responsible for the iBeacon installation. According to Buzzfeed, Titan had notified the city’s Department of Information Technology and Telecommunications (DoITT) of its plans to install the beacons last year. The city agreed to the installation under the pretext that the beacons would only be used for maintenance purposes. Between September and November of 2013, Titan installed the devices. The rollout has come under fire because it bypassed the public approval process, which is required for any sort of installation on public property. Titan asserts that the beacons were only in use on a test basis, primarily for “inventory management”. Titan was using beacons manufactured and sold by Gimbal, the San Diego based company playing in the developing beacon hardware space. Adding to the beacon drama, Buzzfeed reports that Gimbal’s CEO, Rocco Fabiano, was indicted in 1993 by a federal grand jury for taking bribes as part of an auto-financing scheme, although he was acquitted in 1995. Given how new and misunderstood ibeacon technology is, we can guess this won’t be the last time the technology shows up in the news regarding privacy and authorization issues. 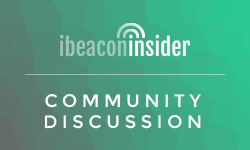 As security and privacy concerns are pushed into the public spotlight, companies playing in the beacon space will have to tread lightly. For more information on Buzzfeed’s investigation, go here, and make sure to let us know your thoughts in the comments!